Following Charlotte Mason’s methodology, you don’t actually have to formally “teach” poetry, particularly at young ages. 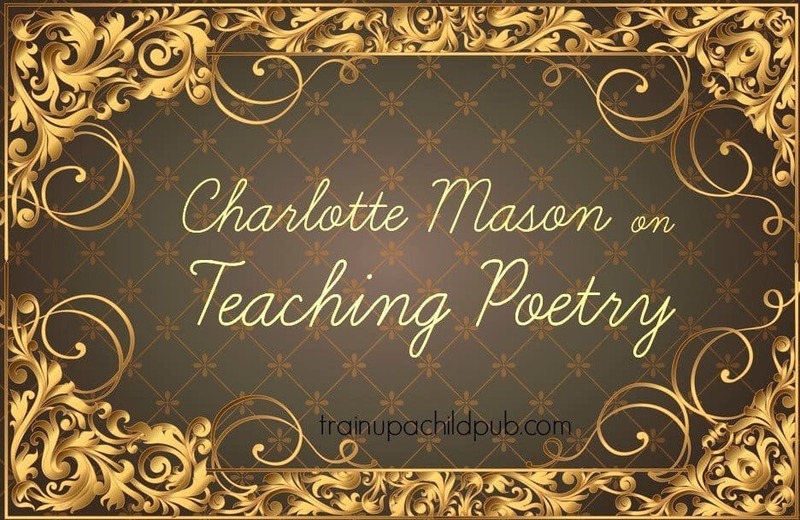 Trying to dissect and analyze every word of a poem is not what Charlotte Mason had in mind. Like when reading a book or studying nature, her emphasis was largely on the experience of the poem… the relationship formed by the reader or hearer. The economy of words, the vicarious experience of sights and sounds, the beauty of poetry, can be easily neglected or missed with too detailed an examination, particular for your younger students! First, read it. Read it aloud. Make it part of your day. Make it an event! Use the china! But how do I choose the poems? Our Unit Programs and our Daily Lesson Plans study poets and their poetry in conjunction with the historical period in which they lived and wrote. Can’t you just see it as it could have happened? This is a perfect poem to read during your study of the American Revolution. The poem in its entirety is available, illustrated, in one of the two free e-books we give you for subscribing to our mailing list! Read more here. Can we do anything else other than read the poetry? Here are some of our favorites, beginning with books for your youngest. Do you regularly incorporate poetry study into your homeschooling? How do you do it? Tell me in the comments!